There are a lot of different skills that lend to running a business. Bigger companies and corporations have the benefit of multiple departments and different groups of people to handle each and every skill necessary to grow and maintain their operations. But what about small businesses and startups? In this case you have to make an effort to prioritize since there’s less varied resources at your immediate disposal. And let’s be honest— no one person is going to be able to do absolutely everything themselves in a business. Even if you have a wide skillset and the confidence to be able to accomplish tasks outside of your specialty, you only have so much time to dedicate to each task. You just can’t effectively run a business if you’re spending all your time doing it all yourself. That’s why it’s crucial to prioritize and know when to delegate a task out to someone else. So how do you know what tasks to do yourself and what tasks to outsource? 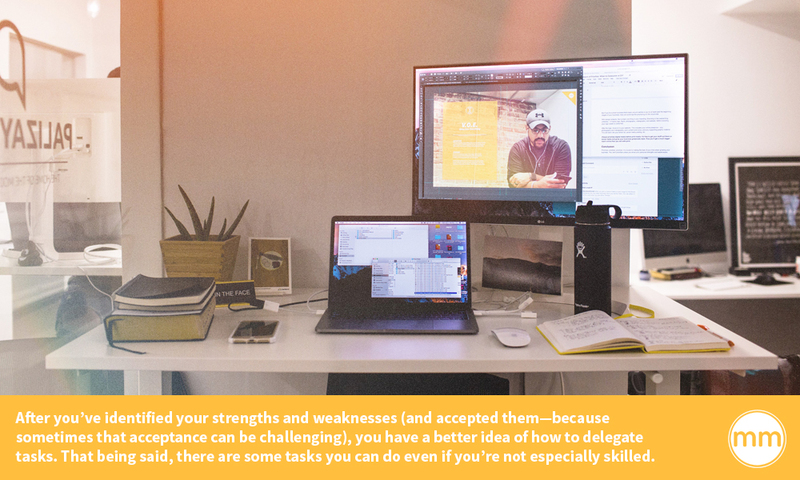 You may think you can do it all yourself, but some tasks really are much easier to get done with an outsider’s input— particularly tasks that involve some of your weaker skillsets. The main purpose for outsourcing is so that you can build up your business with the skill sets you’re good at, and spend your time and energy optimizing your strengths. All of us are creative in some way, but some are more creative than others. A creative mind does not necessarily mean a creative skill set. All of your branding will be customer facing, so it’s crucial to have someone with an eye for the visual to have input. So the most important thing you should consider outsourcing is your branding. The biggest task within branding is creating your logo, so put money aside for this. The cool thing is that there are sites like Upwork where you can find designers cheaply to make you a logo. I would highly recommend outsourcing your branding because if design is not a strength of yours, it will be a very difficult and time-consuming task for you. It’s simply not a good way to spend your time if you don’t know what you’re doing. It’s all about building upon your strengths. My strengths are creation, design, and photography. But when I try to write, it takes up so much of my time and energy. It can take me over a week to write one article. By putting time into my weakness, it’s taking away from developing my strengths. So when I need writing done, it’s best left up to someone else. I rely on one of my team members who has a stronger affinity for writing. 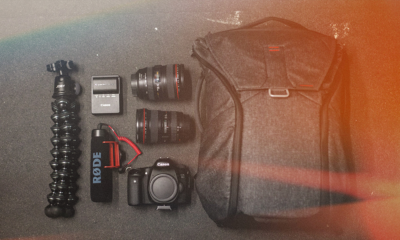 Another thing you may want to consider outsourcing is photography and videography. If you have the know-how and the time to do it yourself, that’s great. One of our clients at Palizay Media records all of his videos himself daily and does an awesome job at it. But it can be challenging to manage all that yourself, so having a professional do it for you will create longer lasting and higher quality imagery. 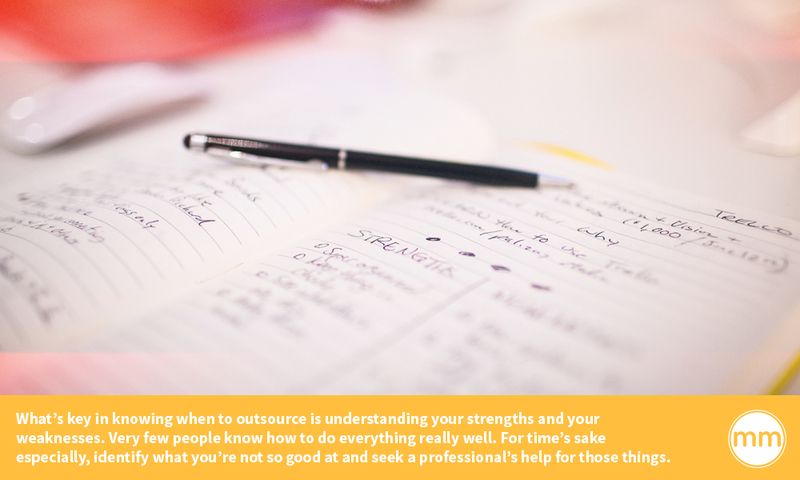 What’s key in knowing when to outsource is understanding your strengths and your weaknesses. Very few people know how to do everything really well. For time’s sake especially, identify what you’re not so good at and seek a professional’s help for those things. After you’ve identified your strengths and weaknesses (and accepted them— because sometimes that acceptance can be challenging), you have a better idea of how to delegate tasks. That being said, there are some tasks you can do even if you’re not especially skilled. Nowadays it’s really easy to make a website using tools like WordPress and Squarespace. I’m a big fan of Squarespace. There’s no coding necessary because it’s all done on the backend. It’s all about dragging and dropping on Squarespace. If you have the written content, imagery, and video, you can drop it all in there. There’s also an ecommerce section that makes it easy to sell things online. I was able to put my portfolio together in one day on Squarespace. By the end of the day, I had a live website. When starting up a business, this is particularly useful to be able to do on your own quickly. Derek always says that having a landing page is more important than a website. Sites like Unbounce are great for designing landing pages. There are over 100 templates that can be easily customized by just dragging and dropping. There’s also lots of overlays that make it easy to create calls-to-action. Unbounce also integrates with MailChimp and WordPress. Marketing via email used to not be so easy— particularly when a lot of the emails would end up in the spam folder. And even today so many people use email automation that many people don’t open up all the emails they receive. But the good news is that this is another thing you can do yourself. Sites like MailChimp and ActiveCampaign make it really easy. MailChimp, in particular, is great for email marketing campaigns because it integrates into Squarespace. You can add imagery, split up mailing lists and target them specifically. There’s even an option to have forums on your website where people sign up for emails and it goes directly into MailChimp. You can do pretty much everything with an iPhone nowadays. I’m learning personally how to promote my business, Hope Delivered, through social media platforms. Keeping content consistently posted is easy on an iPhone, and creating relevant content on Instagram specifically is easy. The iPhone actually takes decent photos when you have proper lighting. Quick Tip: When taking photos with the iPhone, daytime light is best, but well-lit rooms are good too. Cloudy days provide nice filters for soft lighting. You can really make some nice Instagram posts and Instagram stories just using your iPhone. It’s very social media friendly. Not everyone’s a great writer. I can attest to that. This may be a skill set you want to work on and improve with practice, but it can also be a part of your persona. People like conversational writing. Just because you’re running a business doesn’t mean your writing has to be all professional all the time. A casual and conversational voice is easy to relate to and even easier to read. Consider the voice you’d like your business to have. 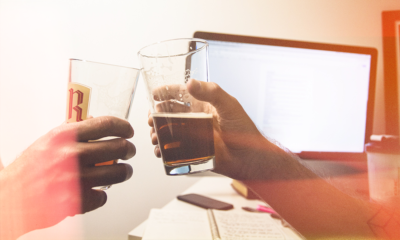 If it’s viable to write more casually, you may be able to write for the business yourself. Just like with websites and landing pages, there’s always resources for designing print materials yourself. Vistaprint and UPrinting both have templates you can create from, and they can also create templates for you. It’s not drag and drop, but you can upload imagery and do a lot on your own. If there are particular skill sets you’re looking to improve, there are always tutorials online. 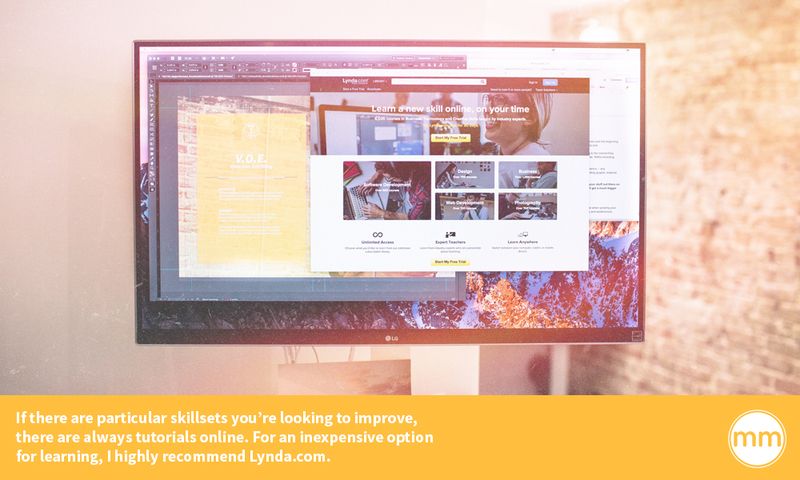 For an inexpensive option for learning, I highly recommend Lynda.com. There are over 700 courses in design, over 700 courses in web development, over 700 courses in photography, over 600 courses in software development, and over 1,200 courses in business. There are free and paid versions. I used Lynda.com a couple times to learn how to do video work, web development, and web design. Sometimes I wish I had just watched these videos rather than go to college! So by now you know that prioritizing tasks in your business all comes down to your strengths and weaknesses. 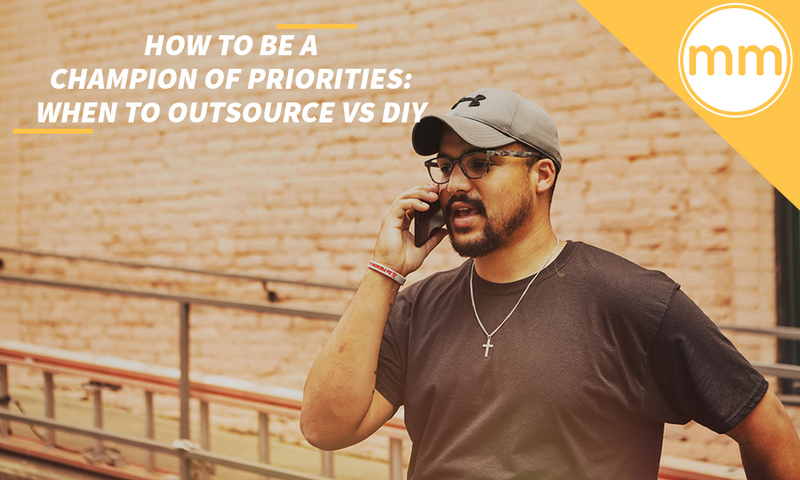 But there are so many moving pieces to a business that even if you know what to do yourself and what to outsource, you may not be sure how to prioritize. If you’re just starting out with your business, I recommend you go check out the Ground-Up Business Challenge. It’s a great guide for the first steps, and clearly charts out what you should prioritize. But if you’re a small business that’s been around awhile or you’re at least past the beginning stages of your business, here are some tips for prioritizing on the visual side. With design projects, the number one thing is your branding. Branding is the overarching umbrella— it means logo, flyers, photography, videography, and website. Within branding, your logo needs to come first. 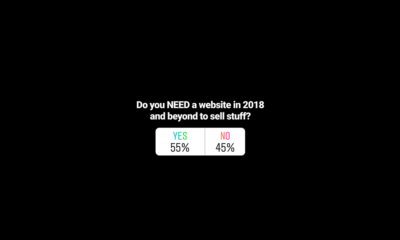 After the logo, move on to your website. This includes your online presence— any photography and videography, your content and voice, and any supporting graphic material. This will stem into your email list, social media posting, etc. Always prioritize digital media before print media. 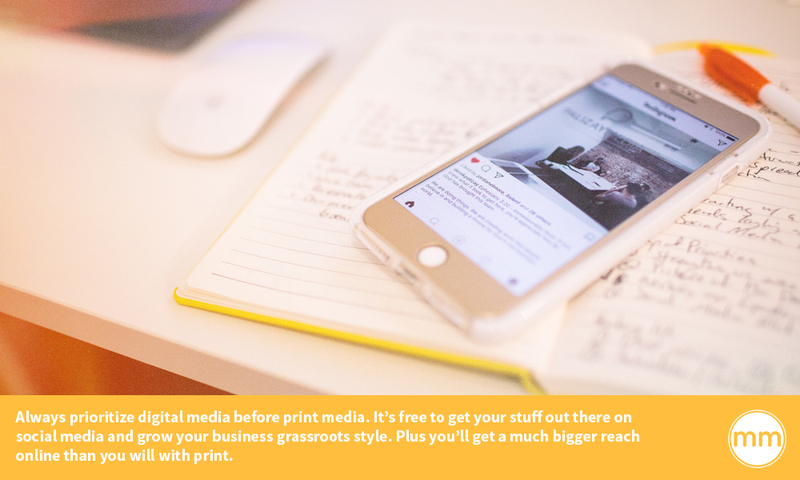 It’s free to get your stuff out there on social media and grow your business grassroots style. Plus you’ll get a much bigger reach online than you will with print. Prioritize, prioritize, prioritize. It’s crucial to making the best of your time when growing your business. You can’t prioritize unless you know your personal strengths and weaknesses. 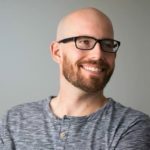 If you’re a good writer but a not-so-great designer, it’s probably in your best interest to outsource your design work to someone professional. If you’re a good business strategist but not too good with web development, you should probably hire someone who works in web dev. As a designer myself, I advocate for the prioritization of branding. So if you’re not a designer, outsource this work to someone that is. You want to build your business upon your strengths and not waste time struggling with skills you haven’t developed. Creative Director at Palizay Media. I'm a digital artist during the 9-5, while I do some painting during the odd hours. I love hiking with my family, eating guac, and going to baseball games.